Sometimes, people who are having difficulty in school may become emotional or sad, or have low self-esteem. If you feel you have any of these problems, talk with someone you trust. 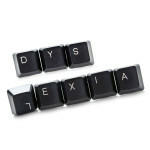 It may be helpful to see a counselor or therapist who is familiar with dyslexia. It’s important for you to get the support and encouragement you need to stay positive and succeed.